‘Racism is a major barrier for Aboriginal and Torres Strait Islander people in accessing quality and appropriate healthcare. 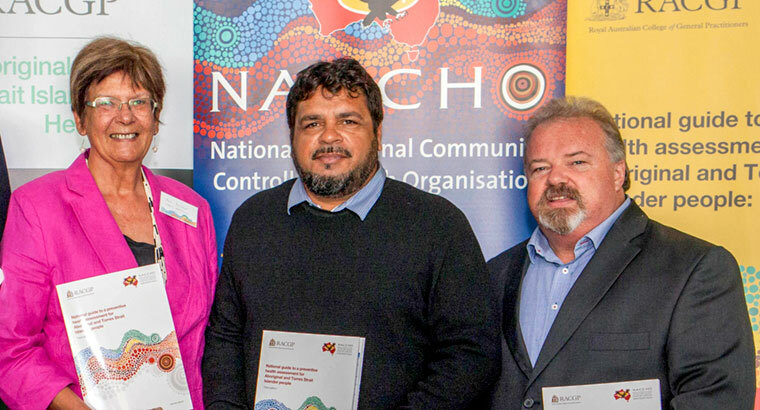 The 2018 NACCHO member’s conference ran from 31 October – 2 November. Its theme for this year is ‘Investing in what works – Aboriginal community controlled health’. Keynote speakers included Minister for Indigenous Health, Ken Wyatt, NACCHO Chairman John Singer and Co-Director of the University of British Columbia’s Northern Medical Program, Professor Nadine Caron. Associate Professor O’Mara discussed how the RACGP is helping to meet a key goal – to increase the Aboriginal and Torres Strait Islander workforce in the health sector – that is enshrined in the partnership agreement between the Federal Government, the Council of Medical Colleges of Australia (CPMC), the Aboriginal Indigenous Doctor’s Association (AIDA) and NACCHO, to improve the health and wellbeing of Aboriginal and Torres Strait Islander peoples. Part 2 The RACGP supports developing the Uluru model so that it can be put to the broader community for agreement. The ‘Uluru statement from the heart’ calls for an independent voice enshrined in the Australian Constitution, and a Makarrata Commission to supervise agreement-making and truth-telling with governments. The statement is supported by Aboriginal and Torres Strait Islander communities across Australia, and has been endorsed by the RACGP. ‘The RACGP is committed to improving the health and wellbeing of Aboriginal and Torres Strait Islander people. It is one of our greatest priorities,’ President Dr Harry Nespolon told newsGP. ‘Constitutional change of this kind must be considered a national priority to be successful. The RACGP previously endorsed the Uluru statement as part of its submission to the Joint Select Committee on Constitutional Recognition Relating to Aboriginal and Torres Strait Islander Peoples 2018 (the Committee), which was formed with the purpose of investigating the recognition of Aboriginal and Torres Strait Islander peoples within the Australian constitution. The Committee is due to present its final report by the end of this month. ‘The RACGP strongly supports the recommendations in the Uluru statement as a way to make real progress to close the gap in health inequality,’ Dr Nespolon said. 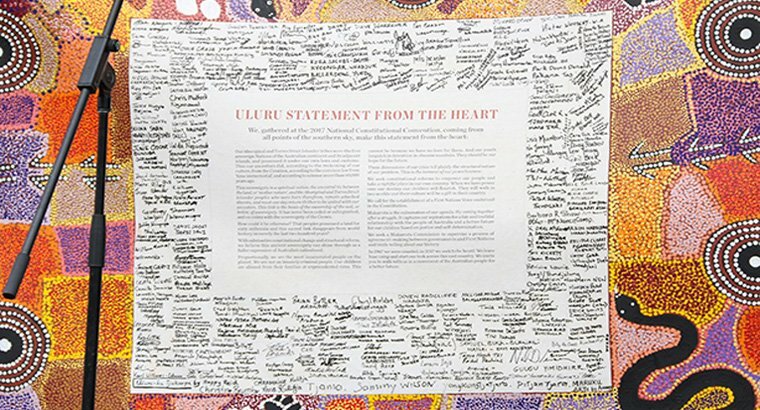 The RACGP endorsed the ‘Uluru statement from the heart’ during NAIDOC week. According to Dr Anita Watts, an Aboriginal GP, academic and member of the RACGP Aboriginal and Torres Strait Islander Health board, the Uluru statement and constitutional recognition are vital to the health of Aboriginal and Torres Strait Islander peoples. 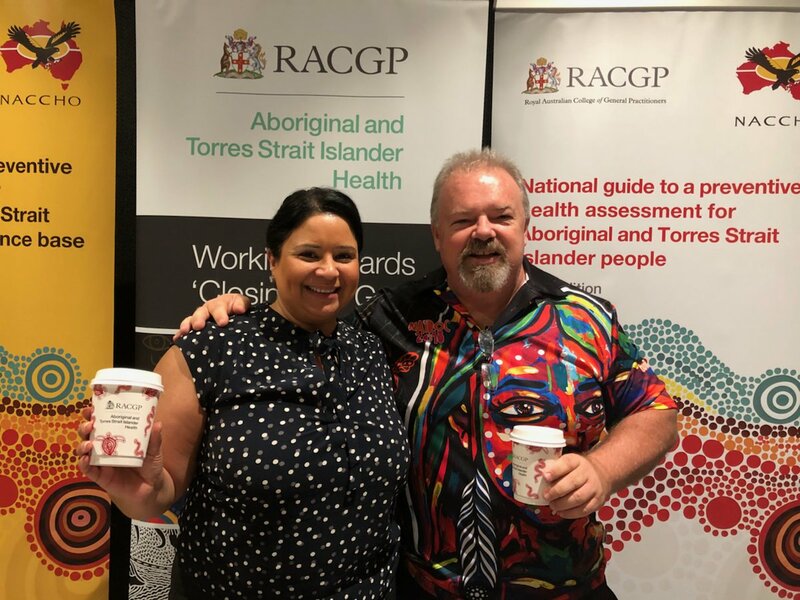 ‘Without recognition, there cannot be self-determination for Aboriginal and Torres Strait Islander peoples,’ Dr Watts told newsGP earlier this year. And racism is a trigger for many health risk factors such as substance abuse, distress and mental health conditions and harm to physiological systems. These are some of the reasons why the RACGP has updated its zero-tolerance position on racism in healthcare to focus more broadly on the effects of institutional racism. RACGP President Dr Harry Nespolon said the revised position statement sent a clear message. ‘The RACGP wants to send the message that racism is unacceptable and harmful, not only for our patients, but also to the doctors, doctors in-training and staff members in our practices and health services,’ he said. 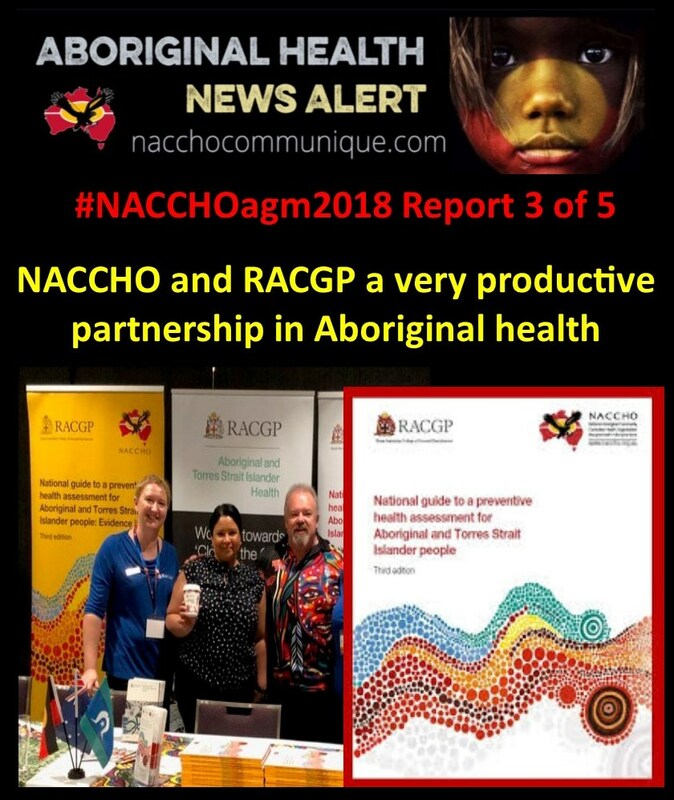 The RACGP’s updated position statement focuses on Aboriginal and Torres Strait Islander people, but the statement has wider applicability across Australia’s diverse patients and healthcare professionals. ‘Challenging institutional racism requires a systemic response … Action on institutional racism requires adapting approaches, attitudes and behaviours through up-skilling staff, reviewing policies, procedures and systems,’ the statement reads. Racism also hurts Australia’s diverse health professional workforce. ‘Acts of racism and discrimination negatively impact the development of the Aboriginal and Torres Strait Islander medical workforce. Results from [the Australian Indigenous Doctors’ Association] 2016 member survey found that more than 60% of Aboriginal and Torres Strait Islander medical student, doctor and specialist members had experienced racism and/or bullying every day, or at least once a week,’ the statement reads. 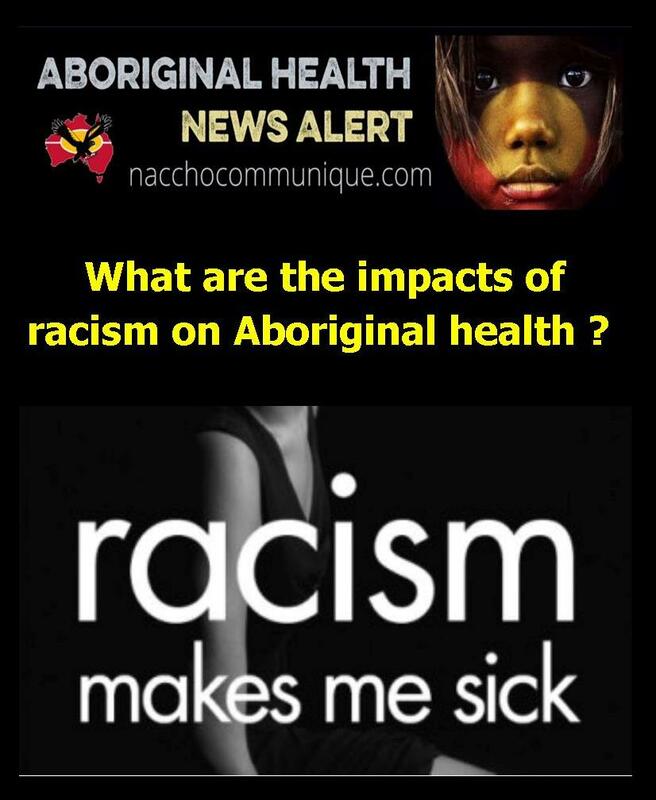 ‘The beyondblue National Mental Health Survey of Doctors and Medical Students similarly found that Aboriginal and Torres Strait Islander doctors reported racism as major source of stress, at nearly 10 times the rate of non-Indigenous counterparts. 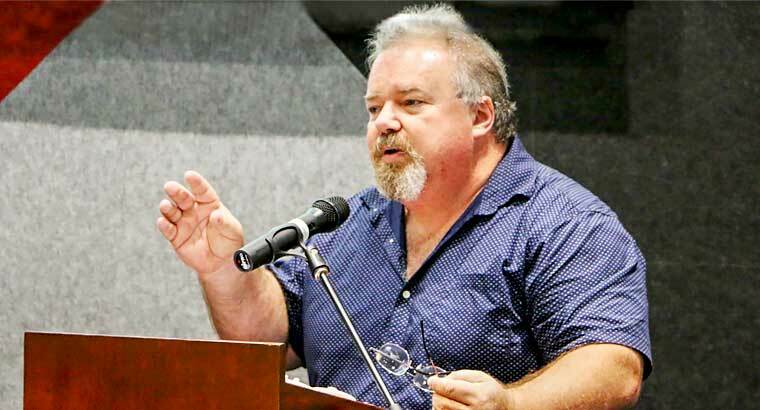 Chair of the RACGP Aboriginal and Torres Strait Islander Health Associate Professor Peter O’Mara said that racism was a major contributor to poor social and emotional wellbeing. ‘Racism is a major barrier for Aboriginal and Torres Strait Islander people in accessing quality and appropriate healthcare,’ Associate Professor O’Mara said. Associate Professor O’Mara said GPs were well placed to show leadership in addressing racism, discrimination and bias. ‘In challenging racism, practice teams will be able to provide more culturally responsive healthcare for Aboriginal and Torres Strait Islander people and improve care for all patients,’ he said. The RACGP is a supporter of the Australian Government’s Racism. It Stops With Me campaign, which encourages people to respond to prejudice and discrimination in their neighbourhoods, schools, universities, clubs, and workplaces. The RACGP will next year roll out its Practice Experience Program, designed to boost support to often-isolated non-vocationally registered doctors, many of whom are international medical graduates, as they work towards Fellowship.